Never forget a birthday of your family and friends again. 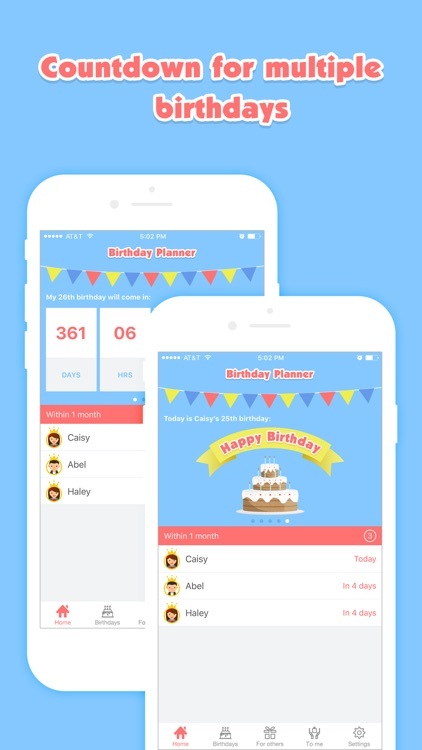 View whose birthday will come soon clearly and use this app to send your best wishes to your buddies on time. 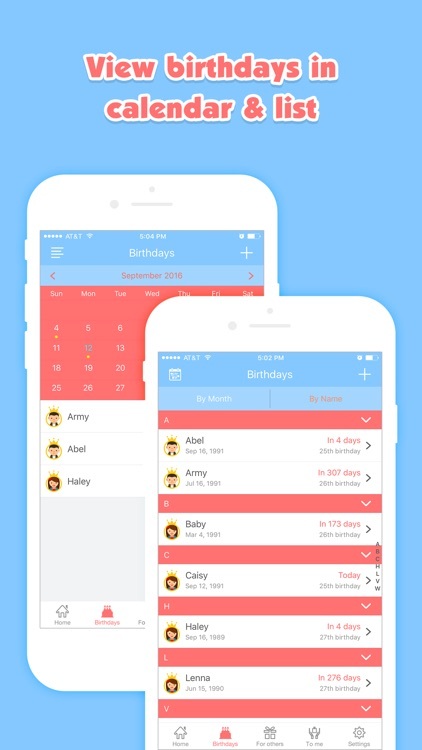 You can list birthdays of your people here, this app will do the countdown and remind you on time according to date you set. 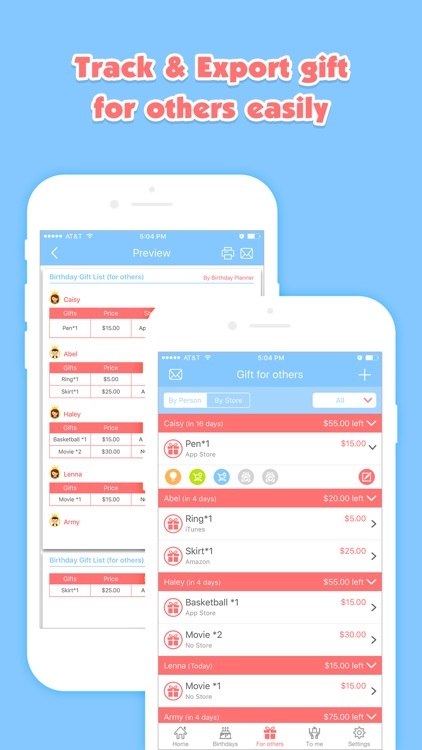 And you can plan the birthday gift in advance and track the process you prepare. ⁃ Group people whose birthday will come within one week and one month. ⁃ Big numbers birthday countdown of five people in home page. 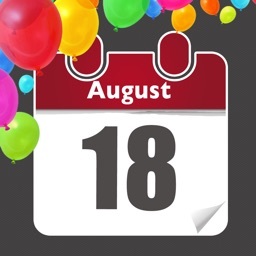 ⁃ Count down days left of each people’s birthday. ⁃ List birthdays of people by month or by name. 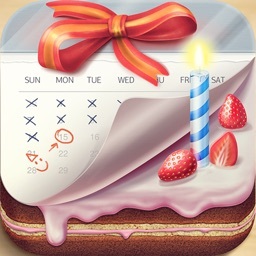 ⁃ Calendar view of people’s birthday. 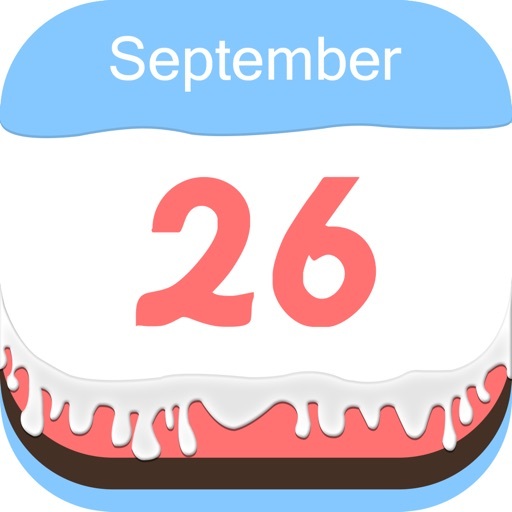 ⁃ Set reminder for each one’s birthday. ⁃ Plan birthday gifts and keep the budget. ⁃ Track birthday gifts’ preparing process. 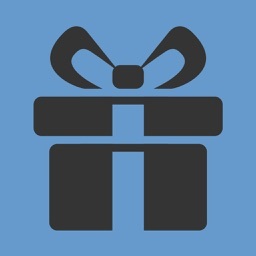 ⁃ Track the gifts sent from friends to yourself. 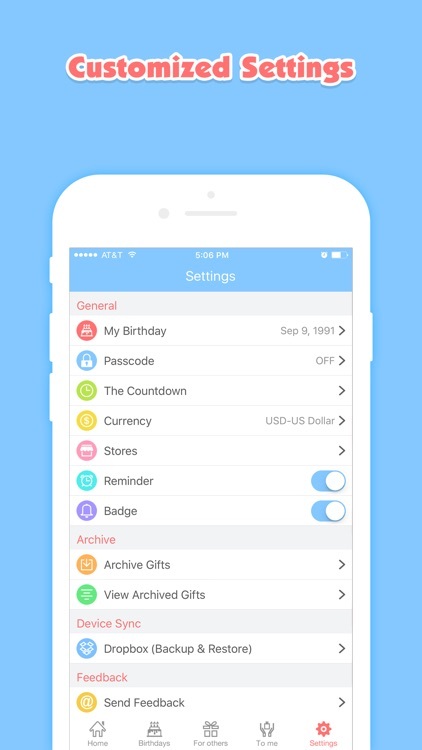 ⁃ Set your own birthday and count down. ⁃ Export birthday gift list by email. 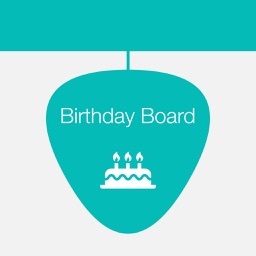 ⁃ Send birthday greetings by text or email directly from this app.